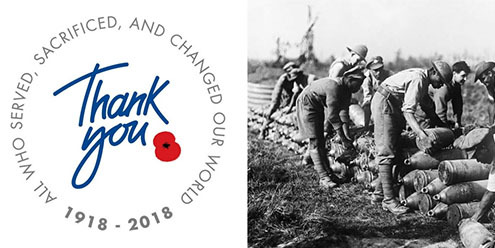 Here at Edusites we feel incredibly lucky to be sharing and promoting this competition to all our schools on behalf of The Royal British Legion. With there being only a few weeks left of term, what better time than to get your students involved in a thought provoking competition that should engage and challenge all abilities. The Royal British Legion in partnership with Never Such Innocence would like to invite young people all over the world to share a message of Remembrance and hope, by saying “Thank You? to the First World War generation. Entries inspired by the Thank You campaign could feature in the Legion’s famous events, including the Festival of Remembrance at the Royal Albert Hall. KS3 School Resources: Using poetry to say “Thank You? KS4 School Resources: Using poetry to say “Thank You? Single entry form: If you only have one entrant’s work to submit, select the single entry form. Group entry form: The group entry is for submitting one entry by multiple authors/artists. Multi entry form: If you are submitting numerous entries, each created by an individual owner (e.g. a class where each pupil produces their own entry) select multiple entry. Read the full Thank You competition terms and conditions. You’ll need to agree to these when you submit your entries.